Tomer Hanuka is an illustrator from Israel, who actually is based in New York City. His works include a wide range of different artistic categories from cover books to film industry collaborations. He considers himself a storyteller and uses art as a source of communication with the public. Behind each illustration the artist is building a story with its fragile characters, often struggled by a desperate melancholy. In all his works we can find a perfect balance between chaos, peace, physical and psychological. Tomer has won numerous awards, received from Society of Illustrators and Society Od Publications Designers. Big magazines like Print, The New Yorker and American Illustration have documented Hanuka's works. He was nominated at Oscars in 2009, with the film "Valzer con Bashir", he worked at this animated documentary with his twin brother Asaf Hanuka. 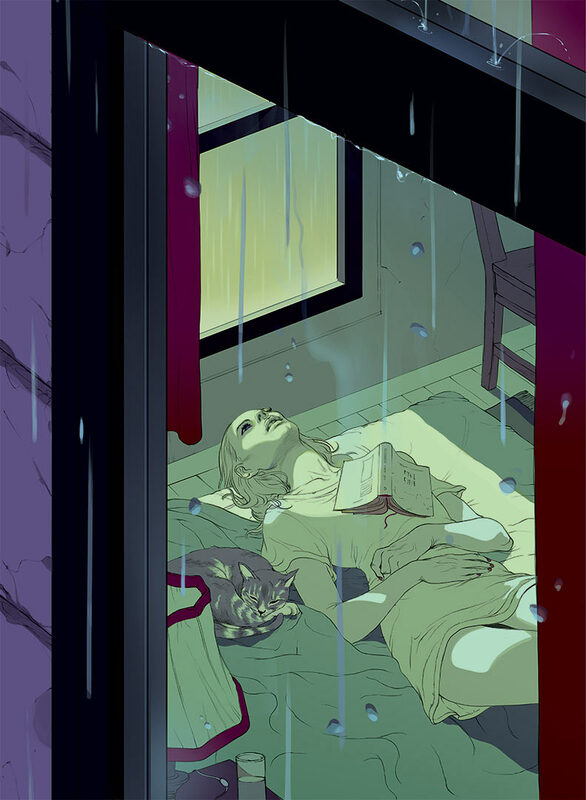 In 2011 he is publishes Overkill: The Art of Tomer Hanuka, a collection of his works. Four years later a second book came out, The Divine; to realise this graphic novel Tomer worked closely with his brother and the writer Boaz Lavie.